We’ve partnered with Endicia to provide affordable postage and a streamlined shipping solution for ecommerce businesses, meaning you spend less time and money shipping your orders. Our ecommerce shipping solution speeds up the shipping process. Through our partnership with Endicia, it also increases profits. Print pick lists and customized packing slips to streamline shipping operations. Connect to Endicia to print USPS shipping labels for all orders directly in your ecomdash account. 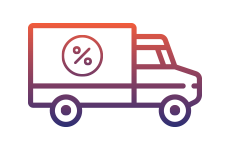 Specify shipping defaults based on your product’s weight to reduce data entry. 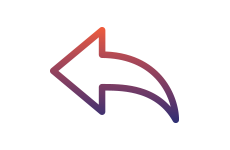 From there, generate if-then statements for ecomdash to auto-populate the shipping carrier, delivery settings, and package type for your orders. Once you’ve sold an item and the order shows in ecomdash, we’ll determine the weight based on products included in the order with the weights you defined at the product level. With those calculations and your if-then statements, we’ll auto-fill your shipping details. Ensure accuracy by printing pick lists with aisle and bin location for each product on your sales order. With our strategic partnership, ecomdash customers receive commercial base plus pricing on postage. Avoid lost package complaints and long lines at the post office by consolidating all USPS shipping labels into a single form. Print return labels for USPS via Endicia for any sales order in the ecomdash platform. Customize your packing slips and confirmation emails to build brand recognition amongst your customers. Save time by printing your Endicia shipping labels and packing slips in batches of 250 at one time. Can I use SCAN forms? Yes! Easily print SCAN forms right in your ecomdash account. Of course. You can print return labels for any of our USPS partners. How do I add postage to my Endicia account? We offer an option to buy more postage within your carrier details screen in ecomdash. What sort of discounts do I actually get? Our partnership with Endicia means you can receive commercial base plus pricing. Those discounts differ based on USPS mail classes. You can find the pricing here.